Working Area of 10-1/2" x 20"
Our 20 Ton Shop Press may be small enough to fit on your work bench but it's no lightweight. Smooth and precise, heavy-duty and versatile, the unique open side design allows for material to pass through. 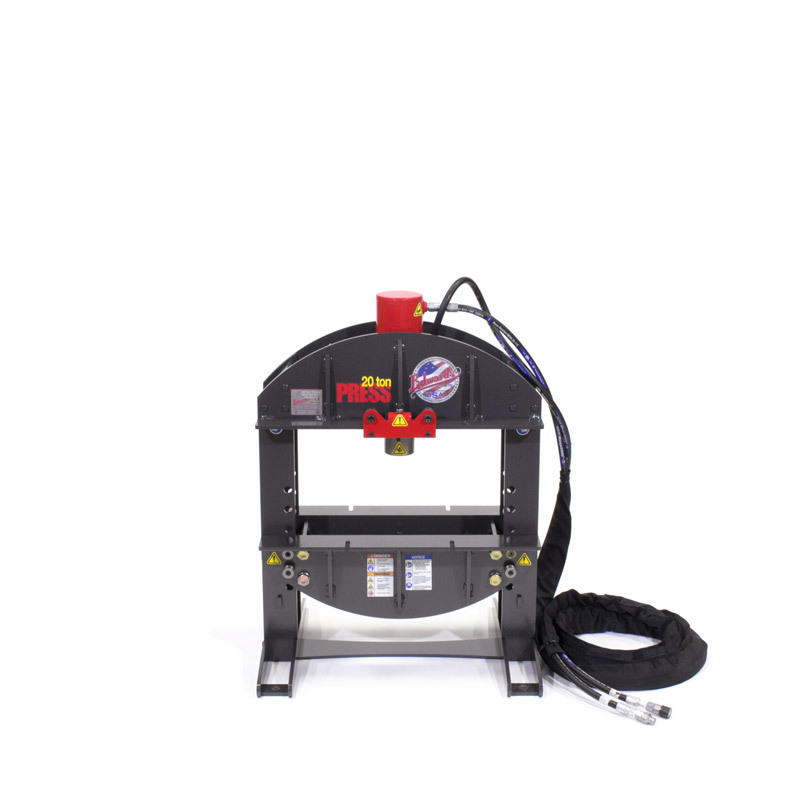 Power it up with an Edwards Ironworker with factory installed Hydraulic Accessory Pack or an Edwards Porta Power 5hp, 2750psi, portable power unit.